This is a staple side dish in Norway. 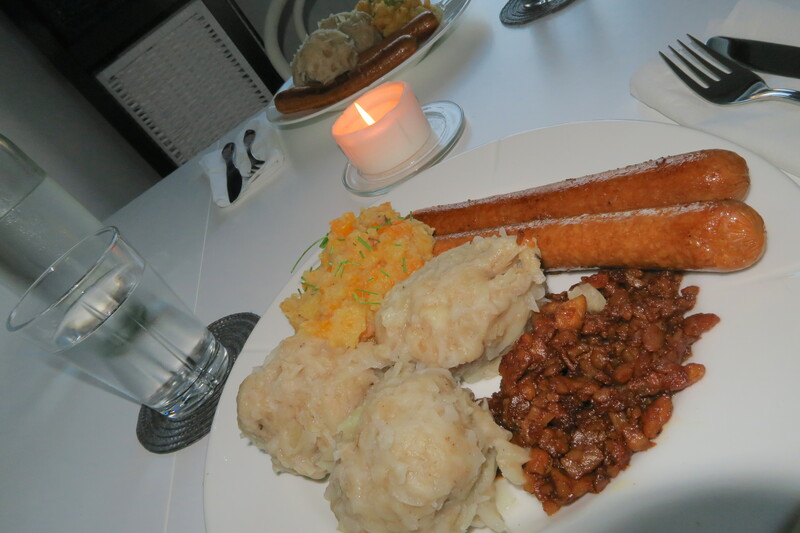 Before I went vegan I used to eat potato dumplings with rutabaga mash and smoked or salted pork/lamb. Now as a vegan I still serve them with rutabaga mash and dishes that are smokey and/or salty, like tempeh bacon and seitan sausages . You can view my video of how to make it at YouTube by clicking here. For the ingredients and directions see below. 1. Peel and grate the potatoes. Remove the excess water. Add 100 grams (about half a cup) of flour at a time until the dough gets shapeable. I ended up using 400 grams (almost 2 cups). Shape into balls the size of golfballs. 2. Place a bouillon cube in a large pan of water and boil the potato dumplings for about 1 hour. You can place a wooden spoon over the pan if it keeps boiling over. 3. Serve warm with your favorite vegan dish and enjoy!